Match 33 of IPL 2018 witnessed a top table clash between Chennai Super Kings and Kolkata Knight Riders at the Eden Gardens, Kolkata. Batting first, CSK posted 177 runs on the board thanks to useful knocks from Shane Watson, Suresh Raina and MS Dhoni which looked above par at the halfway mark. Despite losing Lynn early in the chase, Kolkata batsmen played an attacking brand of cricket and kept up with the required run rate hitting boundaries at the regular intervals and never allowed the pressure to build for them. Shubman Gill and Dinesh Karthik starred with the bat with the former smashing a brilliant half-century for the home side and stitched an unbroken partnership to chase the target with 14 balls to spare. We take a look at the three unnoticed things from the match which had a considerable impact on the result. 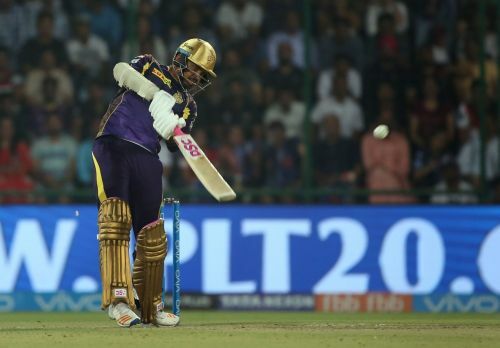 Dangerous enough in their own right, KKR offered them a lifeline each for Shane Watson, Suresh Raina and Dhoni which helped to flourish their innings and build a solid base for a big total. Shane Watson and Suresh Raina were in single digits when KKR fielders failed to grab the chance offered to them. First of those was from Shivam Mavi when he misjudged a run out opportunity from Shane Watson, who was late to start off from the crease running at the bowler's end. The next two chances were relatively easy and straightforward catches, dropped by Dinesh Karthik and Shubman Gill letting Raina and Dhoni off respectively. All three batsmen went on to play significant innings for their side with Dhoni top scoring with 25 balls 43 helping CSK to post above par total of 177 runs on the board, which were not proved to be enough in the end.